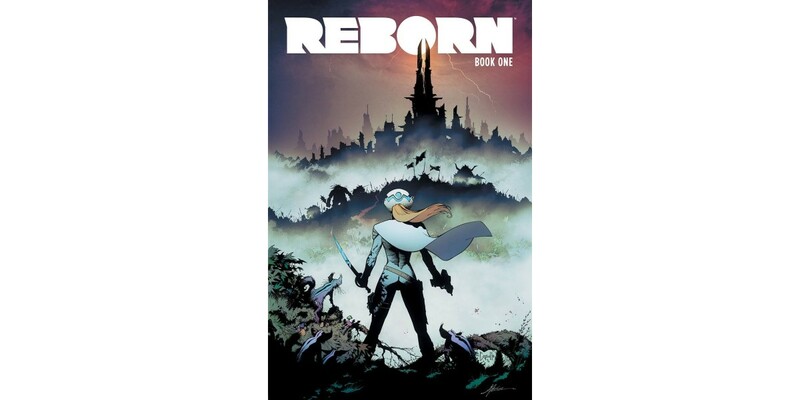 Superstar creators Mark Millar (Kingsman: The Secret Service) and Greg Capullo (Batman) join forces to create the sci-fi story of the year—REBORN. A beautiful hardcover edition from Image Comics will collect issues 1-6 and hit stores this May. REBORN asks, where do you go when you die? Not heaven or hell—somewhere else. Somewhere you have to fight to survive. Somewhere the people from the past are waiting for you—the good and the bad. REBORN HC (ISBN: 978-1-5343-0158-0, Diamond Code: FEB170703) hits comic book stores on Wednesday, May 17th. The final order cutoff deadline for comic retailers is Monday, April 3rd. REBORN HC hits bookstores on Tuesday, May 23rd. It is available for pre-order now on Amazon, Barnes & Noble, IndieBound, and Indigo.